For me there is no debate that whatever regulations other European countries have regarding travelling in a taxi or airport shuttle bus without a booster/car seat i will be bringing my children car seat along to our holiday. When i use to work as a Nanny for a family with twins who had a holiday home in Fort Lauderdale/America which we visited up to 5x a year when the girls where age 6 month to 4 years i experiences it first hand how dangerous hiring a car seat for infants/children can be. When we arrived at Miami Airport and went to pick up our rental car with 2 very grumpy and tired babies not only did they forget to put the car seats into the hired car but they then brought the wrong age group car seats along so our wait was even longer until they returned with the right ones. I couldn’t believe how old and dirty the car seats where but buy that point we all just wanted to get to the flat so we didn’t complaint. First thing the next morning my boss was not only on the phone to the hire company complaining about the wait and the dirtiness off the hired car seat but she refused to pay the additional daily charge of hiring both car seats and went to a shop to purchase two new seats for her children. After that incident we always took our own car seats onto the plane to be used in the hire car when we travelled abroad and it made things so much easier! Did you know that hiring car seats or booster seats can cost families up to £150 a WEEK during your 2016 Summer Holiday! 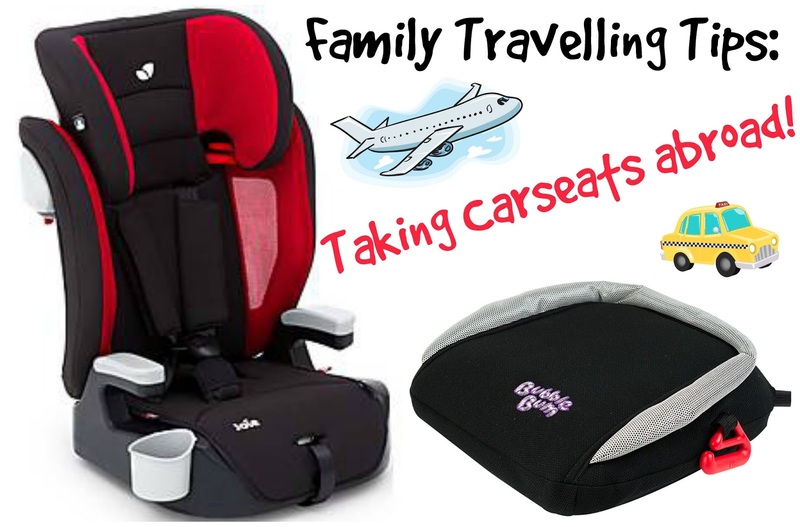 Prices are up to £75 per car seat per child! PLUS a quarter of people surveyed said they have been offered an unsuitable car seat or a car seat that was unfit for use! Cities with the highest individual prices found in Europe for Summer 2016 were Tenerife, Spain (£11.33/day), Barcelona, Spain (£10.00/day) and Paris, France (£9.64). Outside of Europe, New Zealand was the most expensive destination at £16.00 per day, followed by San Francisco at £10.32 per day. Prices for car seat hire in Greece came in at the cheapest, with booster seats found for just £3.20 a day in Athens. But price isn’t the only issue facing parents. An additional survey (conducted by BubbleBum) of 1023 people found that there was also an issue with suitability and availability of seats hired when they arrived to pick up the car whether due to age, cleanliness or damage; and that, worryingly, one in 20 had booked a car seat only to be told there were none available on at least one occasion. Child safety is at risk as unsuitable seats are offered or on some occasions no seat is available at all! So for our first ever holiday abroad as a family of 4 i will take my trusted and safe car seat /booster seat with me for my piece of mind when we take a taxi or travel on the airport shuffle bus. Now i can totally understand that it would put somebody off taking your expensive car seats or high back booster seats, who are probably heavy and rather bulky with you abroad worrying about how the baggage handlers will look after them (throw them around) but despair not. I have done some research and come across the Joie Elevate which is a Class 1/2/3 Car seat perfect for Molly-May who turned 2 in February this year and with its weight only being 5.47kg (which is even lighter then my Yoyo Pushchair!) you will have no problem transporting it to the airport shuttle, coach or taxi when travelling abroad! Its loaded with comfort (fully ventilated mesh sides) and fantastic extras including a integrated cupholder . Its suitable from 9-36kg has a height adjustable head rest, side impact protection to assure maximal safeness for your precious cargo! For Finn i have the super smart little inflatable BubbleBum booster seat which is suitable from ages 4-11 years. But don’t let the small size put you off this car seat has been tested to the highest standards and at a cost of £29.99, its easily recouped (considering all the hire car seat chargers you can save yourself!) and will last your child through all your holiday travels! How does the Bubblebum work? BubbleBum is inflatable by mouth – taking less than 20 seconds to inflate, it can be deflated to pack away into its very own stretchy bag. It is colourful and comfortable with an added belt-positioning clip to ensure extra comfort and safety. Bubblebum is crash-tested to ensure its reliability, and meets all US and EU regulations in providing the functional equivalent of any rigid booster seat. It’s also the lightest car booster seat on the market – weighing the same as a pack of Digestive biscuits! 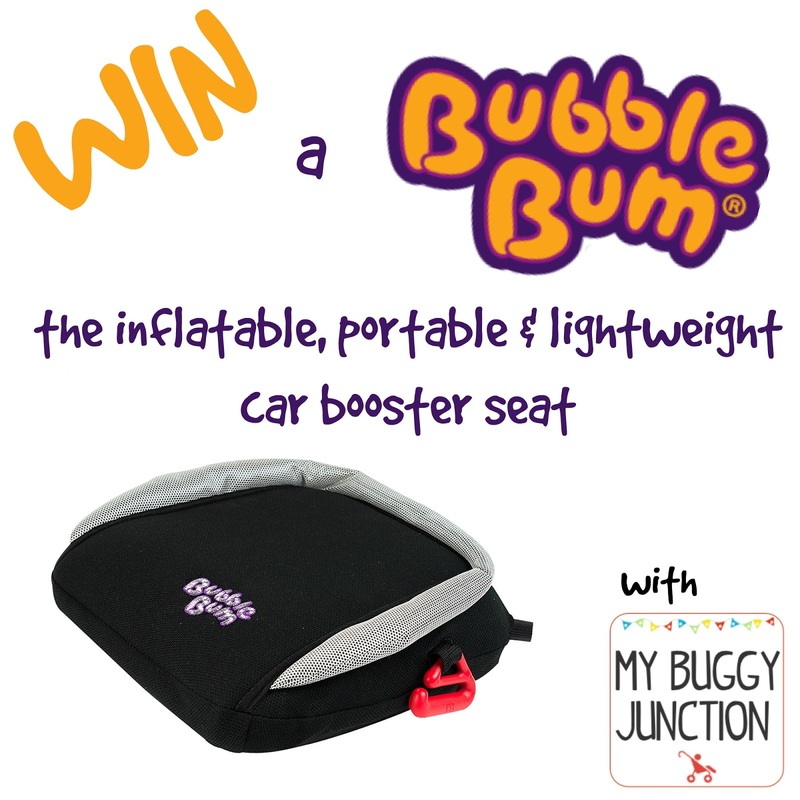 With the Holiday season up on us the lovely BubbleBum have kindly offered the change for one of my readers to win a black BubbleBum booster seat! This Competition closes at 11.59pm on the 6th of August 2016. Summer is coming with Polarn O. Pyret! I havent been abroad with my kids yet. Not been abroad with my daughter yet but I think our car seat is too bulky to travel with. If we can, we try and take our sons seat with us.